Bally are perhaps better known for their range of land based games, including pinball, video games and of course slots. However in recent years they have moved into online slots, producing a wide range of different games. A number of their games have common original features, with examples being the hot-zone and the U-spin, each found at two of their slots. However the most numerous feature found at the Bally range is the ‘Quick Hits’ idea, featuring in four of those games. In this guide firstly you’ll see exactly how the Quick Hits feature works and the rewards available for landing it. Then you’ll find a guide to each of the four Quick Hits games. For and overview of their games, see this article, which covers Bally's range of slots. 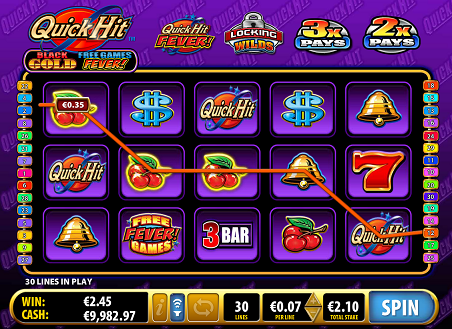 The Quick Hit feature is one where you’ll find a number of the ‘Quick Hit’ symbols on the slot. These act something like a scatter symbol, although landing a number of these will not actually activate a feature, instead landing you a cash prize. You’ll also find a much greater number of Quick Hits on these slots than you would find a scatter symbol on others, as the top prizes are awarded if you land ten or more on the reels at once. The feature is called ‘Quick Hit’ as you’ll gain an immediate win. In general you’ll receive your stake back for the spin if landing three of the symbols, but this will quickly rise as you hit more symbols. The top prize will vary from slot to slot, as detailed in the following guides. This slot is a very interesting one that comes alive when you land the free games feature. Here you’ll be presented with 18 tiles and you’ll turn them over to reveal several different symbols – reveal the same one 3x and this is how the feature round will play. 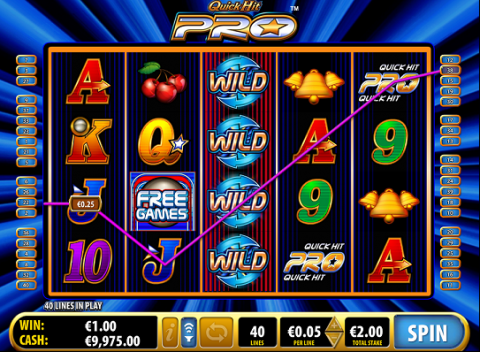 These features include locking wilds, multipliers and the ‘Quick Hit fever round’ where extra Quick Hit symbols are added. Here you can win 7,500x your stake if landing 11 or more of the symbols. In the standard game, if landing the maximum amount of 9 Quick Hit symbols at this game you’ll win 2,500x your total take for the spin. This version of the game is in many ways similar to Black Gold. The feature round takes you to another tile screen, this time featuring 20 tiles. Once again, you’ll turn them over and when you find 3 of the same, this will be the basis for the round. The tiles however have slightly different options as you’ll win differing numbers of free spins. You’ll win 2000x your stake if landing the maximum amount of 9 quick hit symbols in this game. This slot is certainly different, with a unique pinball game at the end of the feature round. The feature is a free games round with an added pinball symbol and every time it lands on the reels you’ll receive another play at the pinball table. This table has wells at the bottom where the balls will land, each well having a different multiplier – the total multipliers are added up and your stake is multiplied by this amount for an extra win on top of what you’ve already won at the feature. Of course this slot also has the standard Quick Hit symbols and landing the maximum 11 symbols will earn you 1500x your stake for the spin. This slot once again is somewhat like the Black Gold and the Las Vegas Quick Hit games, where you’ll find a series of tiles in the feature round that will eventually give you a number of free games up to a maximum of 25. However, there is an added feature at this slot – the Quick Hit Platinum Symbol. This is in addition to the standard Quick Hit, but the win amount is much larger. Should you land the standard Quick Hit symbol a maximum of nine times, you’ll win 2000x your total stake. However, should you land the Platinum symbol a maximum of 5 times you’ll win the biggest Quick Hit win of all at 5000x your stake. The Quick Hit feature is an excellent one that gives these slots a new dimension. 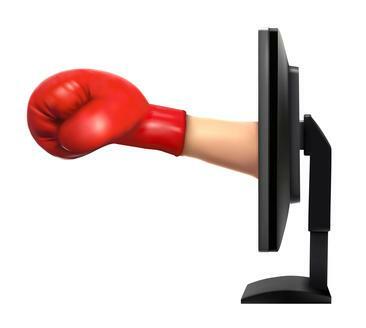 You’ll obviously win in many of the standard ways, but if you see the Quick Hit symbol piling up you’ll know you’re in for an immediate windfall. This is a feature that Bally have to be applauded for. You can find Quick Hit Slots (along with many others from Bally, IGT, NetEnt, MicroGaming and more) over at the award-winning (and stylish!) Mr. Green. Check out www.mrgreen.com for yourself now!